The two largest and up to then most significant parties in Lithuania, the Social Democrats and the Conservatives, not only did not win the elections, albeit losing very differently, but are also standing at a sort of crossroads. Plagued by internal dissent they are seeking their future, striving to free themselves of a crisis of identity and to define their values. Meanwhile political scientists believe that average voters care little who rules – the left or the right, what matters is who resolves their problems. European Commissioner Vytenis Andriukaitis is more pained by his party of origin than giving blood on World AIDS Day. After the elections it experienced an unprecedented knockout. Its leaders, having decided to stay in power, appear to be continuing to bury it. V. Andriukaitis predicts death for the Social Democrats if the current direction is maintained. “The need for a more leftist profile is so clear that if we fail to see it, means that we will not recover after four years,” said V. Andriukaitis. Deputy Chairman for the Social Democrat Party Algirdas Sysas also says that during their party’s rule, despite the multi-fold increase to minimum wages, the gap between the bottom 20% and top 20% in earnings only increased, from six to nine times. The government did not miss any opportunities to publically speak about the rapidly growing economy or even wages, but 80% of the citizenry get by from one wage to the next. A. Sysas states that prior to the pledges given prior to the elections have been forgotten, when the government was faced with state level problems. “We have to simply turn back to the slogan we started with – people first,” A. Sysas discussed the root of the problem. Meanwhile party Chairman Algirdas Butkevičius does not have a vision for the party, it would appear. He did not even find time to answer the question. Political scientist Mažvydas Jastramskis states that the Social Democrats are faced with a major crisis, but this is proved not only by the election results, but also by the refusal to take charge of the Ministry of Social Security and Labour, the search for candidates to the post of minister. The coalition with the “Peasants” did not help either. “There are certain priorities after all and if we are to speak of the SocDems, then it can be simply said that if you are in power and always want to return to power, then perhaps your identity simply is a government party. 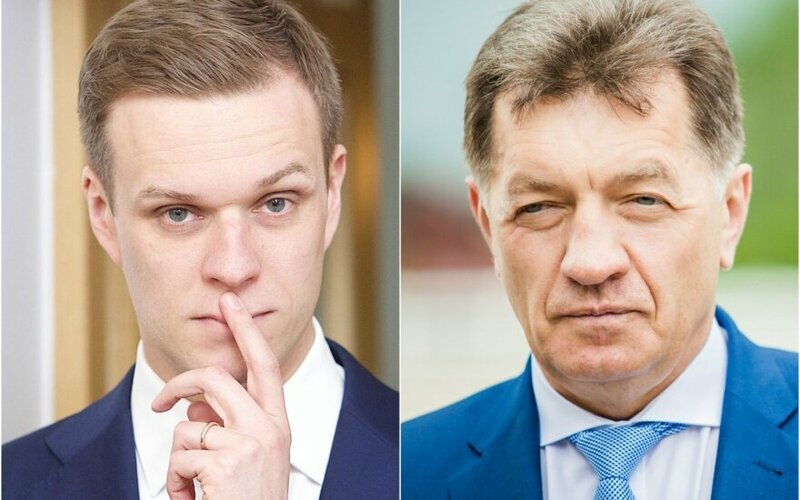 This is why, I would like to stress that the Social Democrats were not forced into power by anyone after the elections, they decided to enter the coalition themselves,” said Jastramskis. After an unfavourable second round of elections in the single-mandate districts, internal scuffles and urges to purify its identity have also appeared in the Homeland Union – Lithuanian Christian Democrats party camp. The party chairman elections are set for February. A representative of the Christian Democrat wing Paulius Saudargas states that depending on the candidates proposed by party members will show what purification of values will be pursued. “The party should firmly and clearly identify the values it stands for. 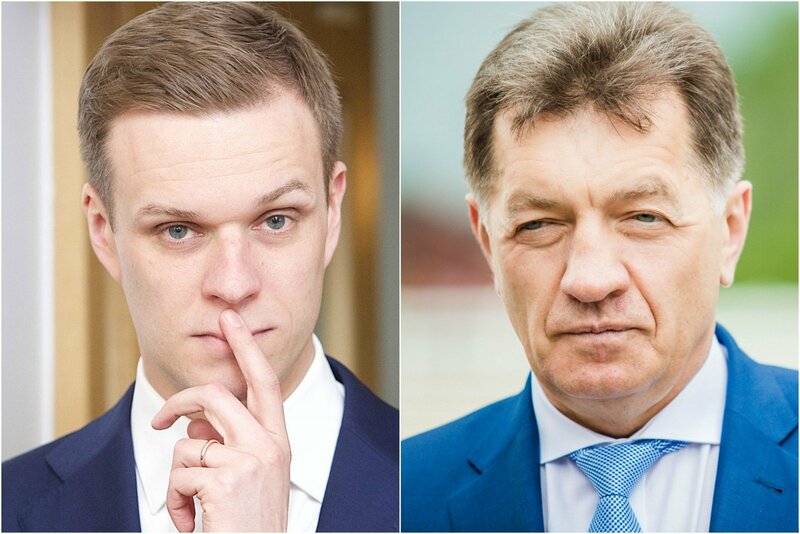 We are two forces born out of the Sąjūdis, both the Homeland Union and the Christian Democrats. Their basis is statehood, nationhood and, of course, faith, which is Christianity,” said P. Saudargas. Party leader Gabrielius Landsbergis also believes that the time has come to ask fellow members what direction the party should head in. His vision for the party is broader – centre-left. “The definition of the centre-left would be most suitable. I believe that we are going in the right direction, we have gathered and invited new young people, we have renewed, opened up, started to, perhaps, talk differently, but specifically let me stress – we have started. The party, having existed for 26 years, takes time to appear differently, but we can be more open and more socially sensitive,” says G. Landsbergis. Party member Žygimantas Pavilionis says that the party identity is also transforming due to a generation shift, which is why having not won the elections it is important not to be disappointed and stop, instead gathering the traditional electorate with the youth and thus winning Lithuania. “Well, we did not solidify our victory in the second round. We are preparing for the third stage. Whether it will be elections or some other watershed – we’ll see. This is a matter of our, so to say, creativity,” spoke Ž. Pavilionis. Political scientist M. Jastramskis says that the Conservatives, unlike the Social Democrats, should suffer less due to their quest for identity, but they have to remember people. “They have a particularly strong identity and perhaps it would be necessary to adjust that identity, moving toward the average citizen of Lithuania,” mused the scientist. On the other hand, according to him, research shows, that only the political elite differentiates between leftists and rightist parties, seeking their values, while average voters overall do not know which is the left and which is the right for it does not matter to them. “People care more about the problems of Lithuania and in these problems there is no separation, they simply need to be resolved. And in the eyes of voters whichever party will be identified as capable of doing so while in government, it will have more chances to have good positions in the long term,” Jastramskis proposed a way forward for the troubled parties.